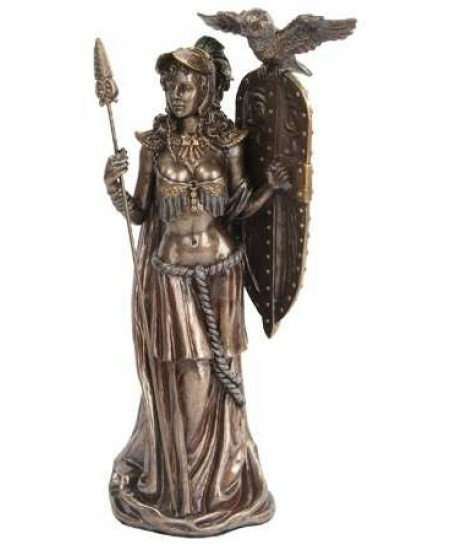 Athena was the Greek Goddess of wisdom and war is here shown in a lovely bronze resin statue 10 inches high. 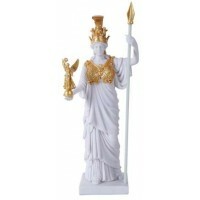 Athena was the Greek Goddess of wisdom and woman's crafts. She was also a defender against evil and a warrior Goddess par excellence. She was the daughter of Zeus and Metis. When Metis became pregnant, Gaia and Uranus told Zeus that after giving birth to a daughter, she would then have a son by Zeus who would later dethrone him. On Gaia's advice, Zeus swallowed Metis. When the time came for the child to be born, Zeus was afflicted with a dreadful headache and sought the help of Hephaestus who split his skull with a bronze axe to relieve the pain. A girl in full armor sprang forth from his head: It was Athena. Athena's attributes were the spear, the helmet and the Aegis (a goat-skin shield). She attached the Gorgon's head which Perseus had given her to her shield, and this turned to stone every living thing that looked at it. 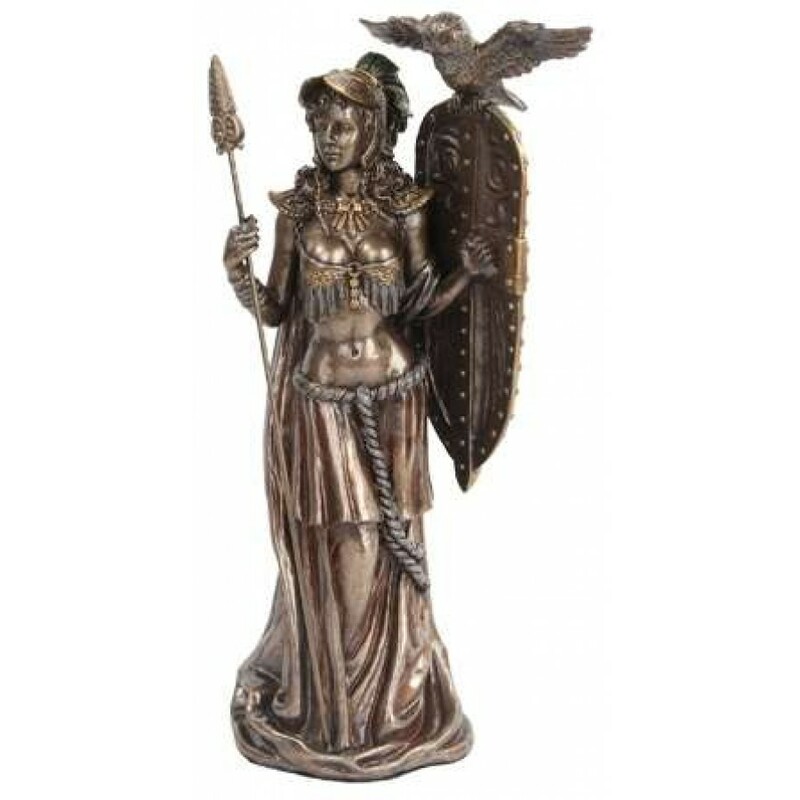 This amazing bronze resin statue stands 10 inches high with amazing detail. Beautiful for your altar or to add to your Greeco Roman statue collection. Item Number: PT-10056 | Approximate Size (Inches): 4.50 wide x 2.75 deep x 10.00 high | Approximate Shipping Weight: 3.00 lbs.